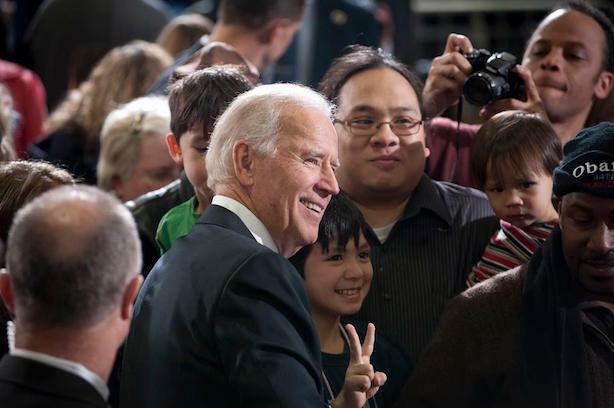 What a Biden campaign would look like; Nevada pulls plug on daily fantasy sports; Theranos suspends most tests; Final US Airways flight set for tonight; Credit card companies don't buy Netflix's claims. A longtime counselor to Joe Biden laid out what a presidential campaign by the veep would look like on Thursday in a letter to allies obtained by various media outlets. Former Sen. Ted Kaufman (D-DE) said Biden would mount an optimistic, straight-from-the-heart run focused on connecting with the middle class. Experts have said Biden’s window is closing after Hillary Rodham Clinton’s strong debate performance on Tuesday night. Regulators in Nevada have ordered daily fantasy sports websites such as DraftKings and FanDuel to shut down in the state, ruling they need a gambling license to operate there. The FBI is reportedly investigating the platforms. Laboratory company Teranos has ceased collecting miniature vials of blood from finger pricks for all but one of its tests, according to The Wall Street Journal. The Silicon Valley favorite is under pressure from the Food and Drug Administration over the types of equipment it uses in tests. American Airlines is transitioning the reservation system of US Airways into its own this weekend in the final, and one of the most complicated, merger tests facing the soon-to-be-combined carriers. The final US Airways flight is set to take off Friday night. When Netflix reported earnings that failed to meet analysts’ expectations on Wednesday, it blamed in part problems with credit card payment systems. The card-makers themselves pushed back against that assertion on Thursday. One executive called Netflix’s claims "curious."